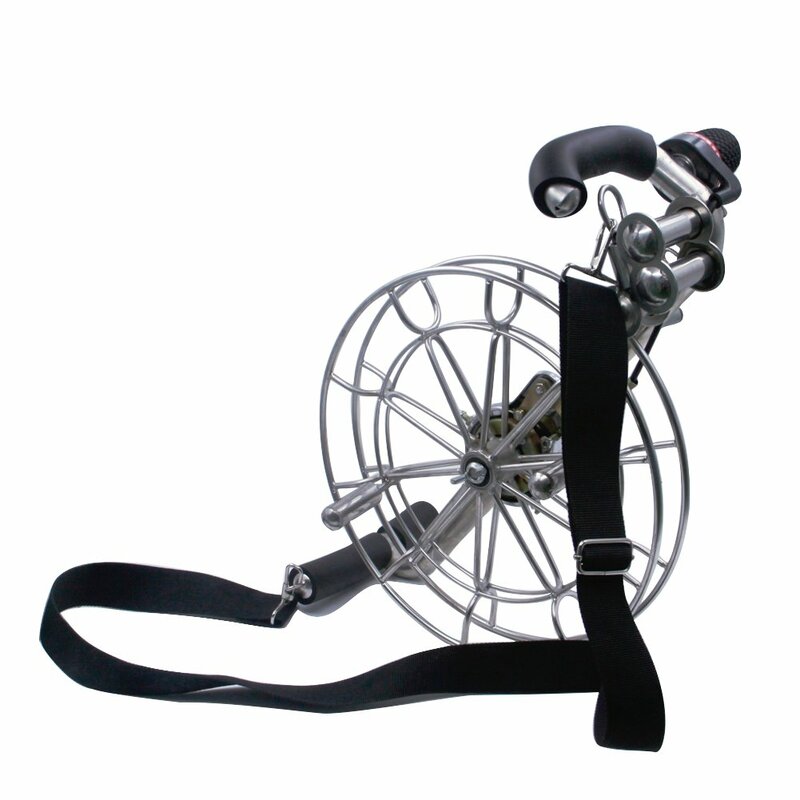 Hold kite reel with left hand, grab big knob with right hand, start rotating, and there you will have the best kite flying experience. 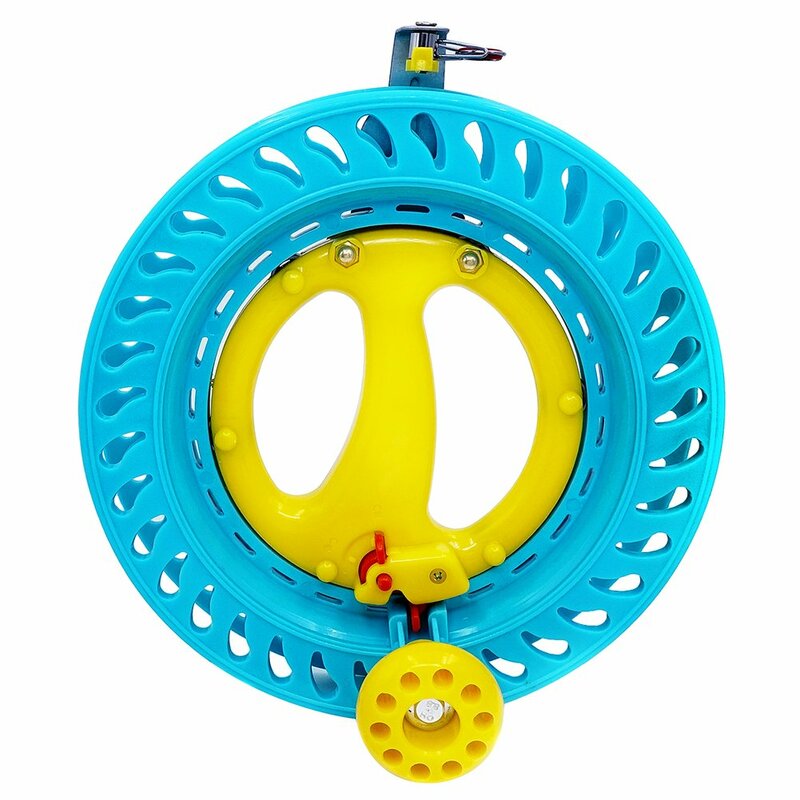 Kite Reel by EMMAKITES specially designed to be lighter and ergonomic for easy operating by Kids and Beginners while keep all professional functions! SAFE ABS plastic is the most used material to manufacture kids' toys since it's harmless to human body. Solid Exerts excellent resistance to the scratches, drops, impact or bumps of frequent use. 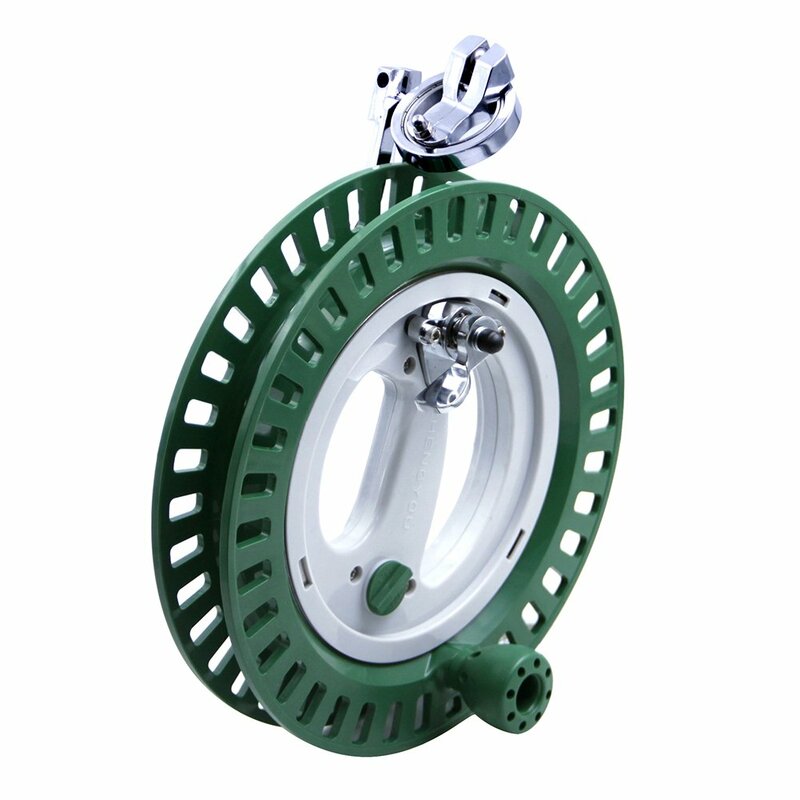 Multiple ball bearings are sealed on the reel to give a smooth rotation. You can launch kite into high air in seconds. 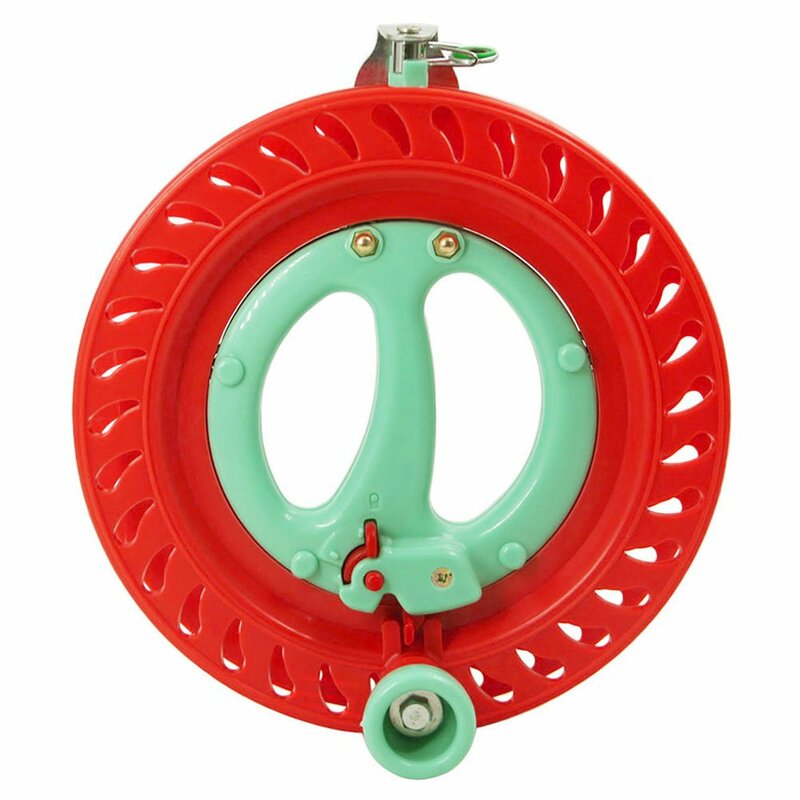 Round, slippery and without burr, ceramic ring is capable of effectively guiding kite line into reel. 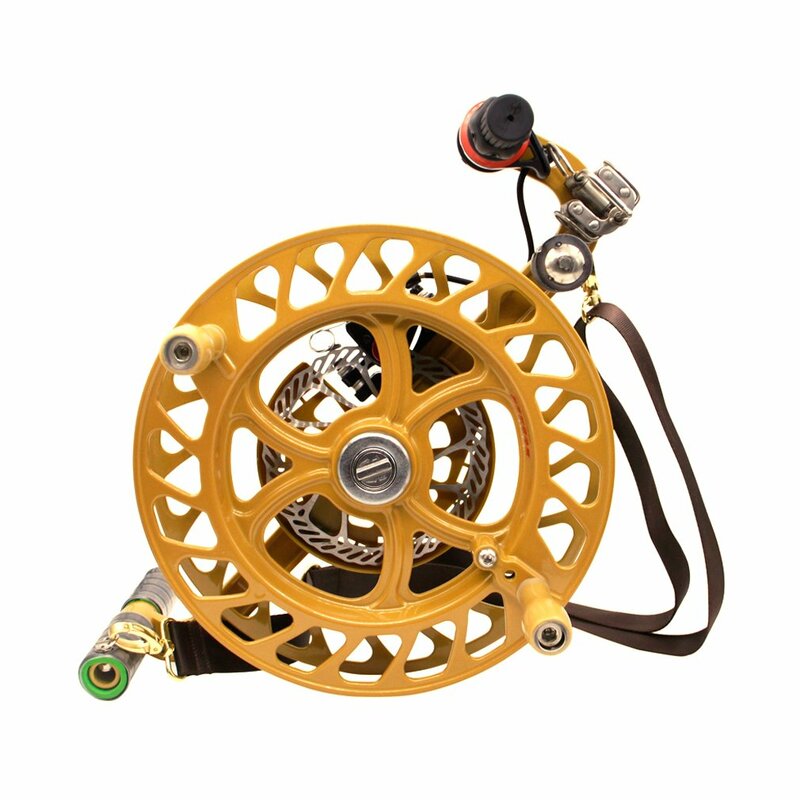 A well made line guide installed, critical for a reel since it can protect kite line from tangling and wear, to prolong its service life. Larger and smooth hand handling part, ergonomic design to create comfortable handling experience, especially for long time flying. Please read the INSTRUCTION FOR USE attached since this is a new locking much different than others. If there is trouble in understanding, please contact EMMAKITES.